Tumours originating in spine called primary tumours are rare. They mostly grow slowly and tend to occur in younger adults. Most spinal tumours are believed to have spread from other part of the body. That's why patients with cancer elsewhere in the body need immediate evaluation of any new complaint of spine pain to determine if the cancer has spread to the spine area. On detection of tumor in the spine, a complete examination of all common organs where cancer develops is usually advised. 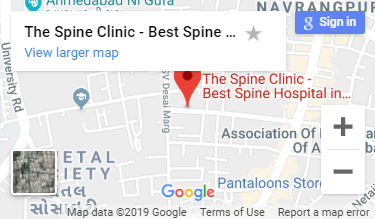 It shall include evaluation of complete medical history, complete physical examination, complete neurological examination, radiographic studies of the spine, chest and GI system to screen for tumors and MRI and CT scans to examine the spine. Depending upon the type of tumour (Vertebral Column Tumor, Intradural-Extramedullary and Intramedullary Tumors). The treatment modality consists removal of the tumour, chemotherapy, radiotherapy. Our best spinal tumor doctor in Ahmedabad offers treatment for a wide range of spinal tumor removal diseases.